The jewel of Barcelona is, in my humble opinion, Casa Batlló. 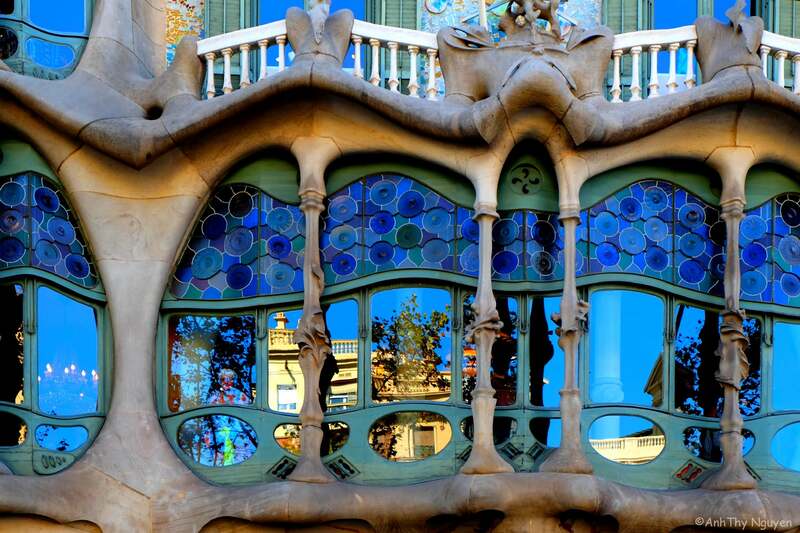 This building, Casa Batlló, is famous for so many reasons. And for me, it is partly thanks to the facade decorated with a colorful mosaic made of broken ceramic tiles.